Tag: Torcs, Light Braided Torcs. SKU: TO-GRIF-LI. Categories: Torcs, Light Braided Torcs. In mythology Griffins are often symbols of duality. Luckily for you, this duality works with fashion too. 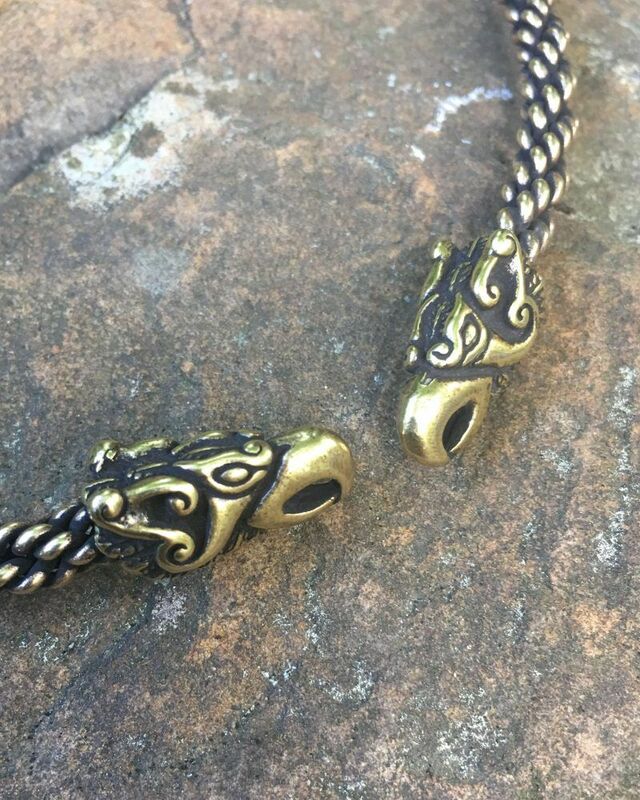 Our Griffin Torc matches all kinds of outfits, both casual and formal! Our Light Griffin Torc is constructed with a light braid of wire, and is approximately 1/4 inch (6 mm) thick. It is available in bronze or sterling silver. Which torc is right for you? We also offer a Heavy Griffin Torc and a Jeweled Griffin Torc. Griffins continued to be popular in later Medieval and Christian art. They came to represent nobility and even kingship, and were often incorporated into coats of arms. Because griffons were thought to mate for life, the Catholic church used the griffin as a symbol of marriage. And yet at the same time, perhaps reflecting the dual nature of Griffons, they were often used to represent evil, and even Satan himself. Finally, there is the Christian-era legend of the Ascension of Alexander the Great. According to this story, Alexander captured a pair of griffins and, having starved them for three days, hitched them to his throne. He held chunks of roasted beef above their heads on lances, teasing the griffons into flight as they attempted to get at the savory meat. They flew heavenward for seven days. Alexander would have stolen a peek at God Himself if an angel had not asked him why he wanted to see the things of heaven when he did not yet understand the things of earth. Chastised for his presumptuousness, Alexander flew back to earth. Representations of Alexander’s ascension were placed in French and Italian cathedrals during the 12th century. 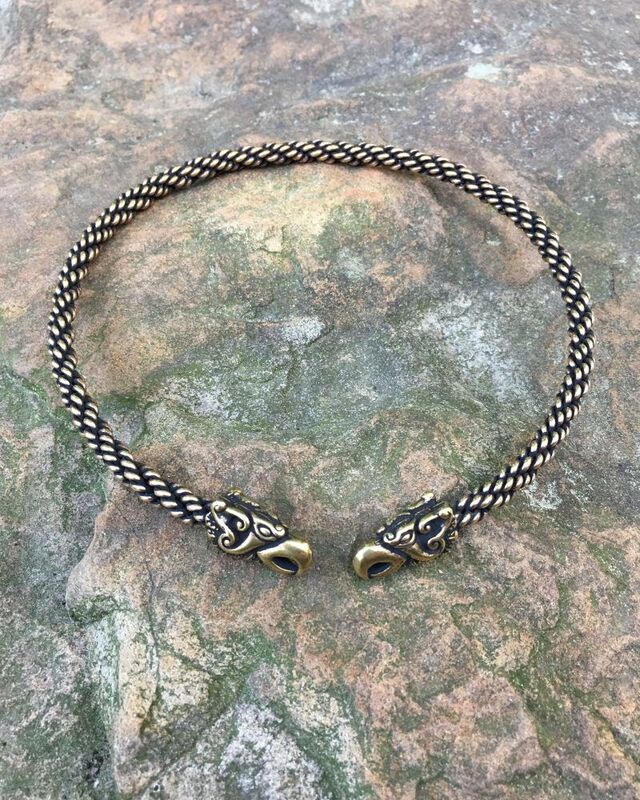 I wear my griffin torc with the matching bracelet. The torc fits perfectly to my neck, and the griffins protect all the gold that I wear. I am very happy with my jewelry, and plan to buy more. I hope I can get griffin earrings some day.